Geometric overlay adds sophistication to the look of this bedside chest. 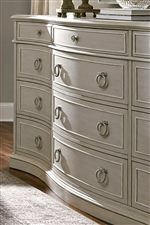 It has a shaped front and ring pull hardware that make this an exquisite storage piece for your master bedroom. 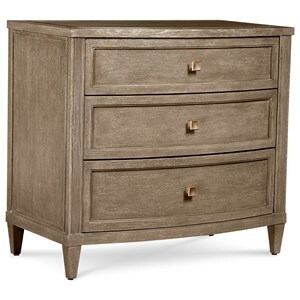 The Chateaux Bedside Chest with Geometric Overlay by A.R.T. Furniture Inc at Thornton Furniture in the Bowling Green, Alvaton, Glasgow, Scottsville, Franklin area. Product availability may vary. Contact us for the most current availability on this product. 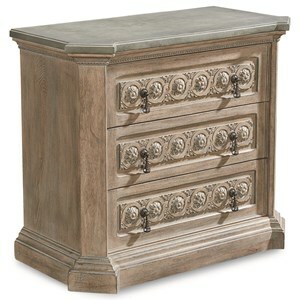 Finish Each piece features artisan applied imperfections and distressing, suggesting a graceful sense of age. 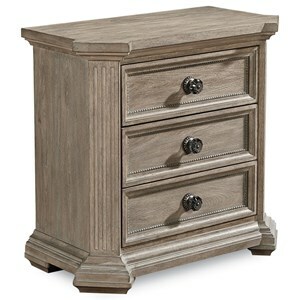 The Rustic Walnut finish displays a soft luster of wool-waxing, while the Weathered Grey finish features painted surfaces, interiors, and details that add dimension to each piece. 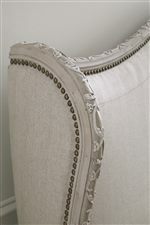 Custom hardware enhances the uniqueness and old-world appeal of each piece. Case Construction Rustic Walnut: knotty walnut veneers and radiata solids Weathered Grey: radiata Solids. 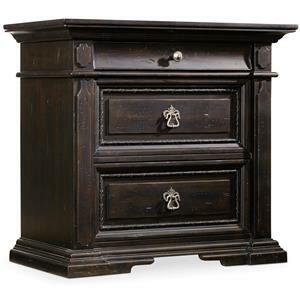 The Chateaux collection is a great option if you are looking for Traditional furniture in the Bowling Green, Alvaton, Glasgow, Scottsville, Franklin area. 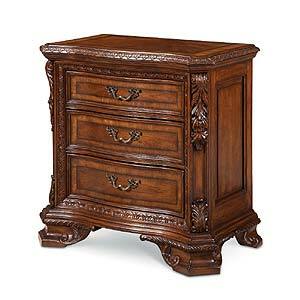 Browse other items in the Chateaux collection from Thornton Furniture in the Bowling Green, Alvaton, Glasgow, Scottsville, Franklin area.